Graeme began with the Abilene Pipers in the Summer of 2012. 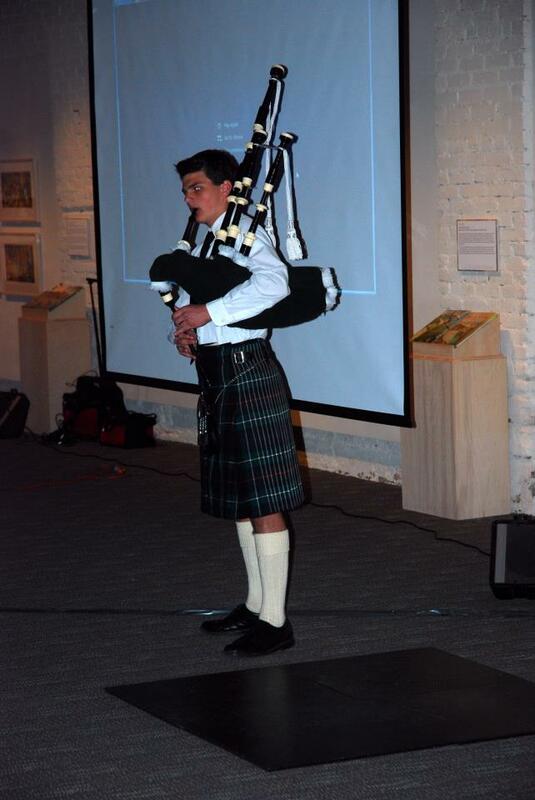 Since then he has played at Burns Supper, ZooLute at Abilene Zoo, Tartan Day at Abilene State Park and the wedding of Tiny Tim and Miss Vicki. Graeme is a student at Wylie High School. His future plans include a tour with the French Foreign Legion followed by the acquisition of a Taco Bell franchise. Graeme's pipe bag is made from the pelt of his beloved hamster, Irving. s inspir ynned to play the pipes by watching performances by some of the world's greatest pipers on movies and on TV, along with his strong Scottish family background, but it wasn't until he watched Eric Rigler pipe at Ronald Reagan's funeral that he decided to play. He has performed for local funerals, parades, school sanctioned events, Abilene Art Walk and the 2005 De Leon Peach and Melon Festival.